Zuny is a collection of whimsical, animal-shaped leather accessories for the home: bookends, paperweights and memo clips. Each animal is handmade and comes with a dimensional environment and a Zuny manual, containing animal facts like the ID and DOB. Their website is just as simple and charming as their product line! 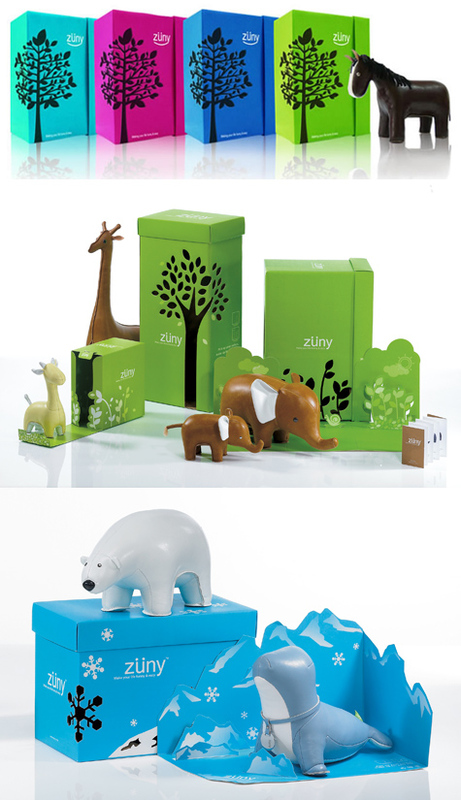 Zuny worked with the design team at Bonanza Brand Marketing Group to create miniature die-cut worlds for each animal from their box packaging.